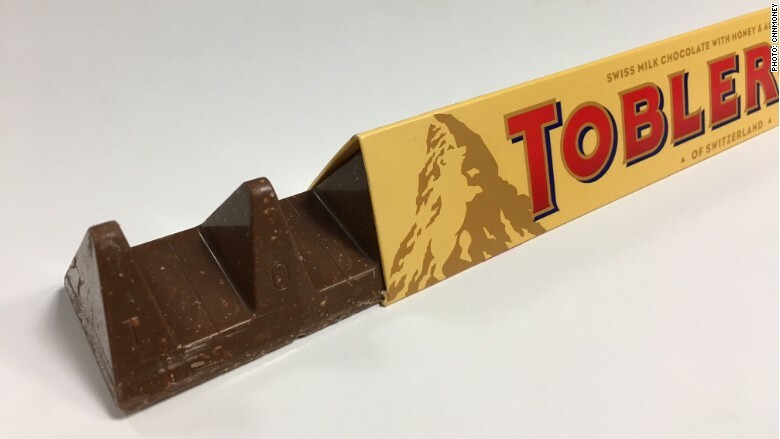 People are going crazy over the change in appearance of Toblerone's iconic triangle shaped chocolate bar. The newly redesigned chocolate has been cut down to 150 grams and 360 grams as opposed to the original 170 gram and 400 gram bars. The peaks are higher and the space between each chocolate is, unfortunately, a lot wider. Modelez International, the maker of Toblerone bars, ultimately made the decision to help reduce costs because of the increase in price for ingredients. The only thing that remains the same about the beloved mountain-shaped sweet is the price. Toblerone's upgraded look. Photo courtesy of: CNN. The chocolate's makeover may come as a surprise to buyers, as the new design is only noticeable once you open the packaging to take a bite. The chocolate may look different, but as long as it's the same delicious, chocolate-y taste, we don't mind! By Kelsey Seepersad Banner photo courtesy of: The New York Times.